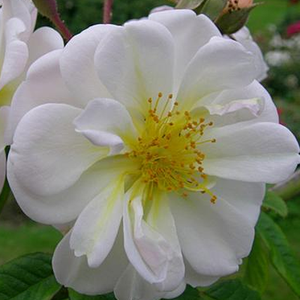 The golden yellow stemens are very decorative between its white petals. 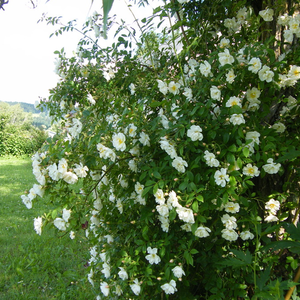 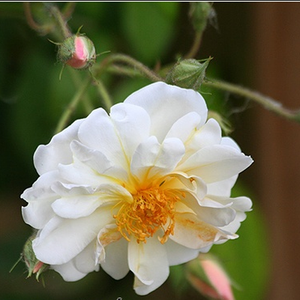 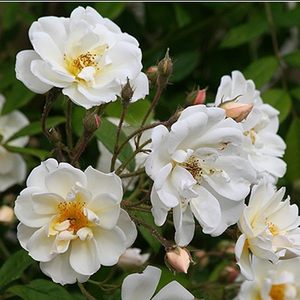 The golden yellow stemens are very decorative between its white petals.Old type roses bred before 1920, appearence very varied,it has a wide range of consumption. 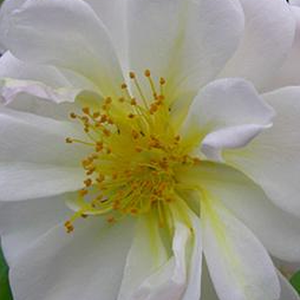 Profile: The golden yellow stemens are very decorative between its white petals.